Hey guys! I was rather unexpectedly called to skip the waitlist for Denver Comic Con, so I'm going to be taking a break from pages this week and flying out there. You'll be able to find me (Delphinity Comics and Illustration) in the Artists Valley at Table L20! The story continues July 4th! 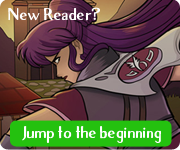 The SpiderForest Anthology Kickstarter is on NOW! 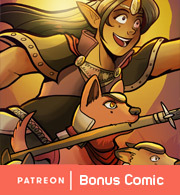 Not only are there some very hilarious comics of the characters of Castoff, Chirault, and Title Unrelated being attacked by spiders, but there's cool pins, art, prints, and cameos! Check it out! 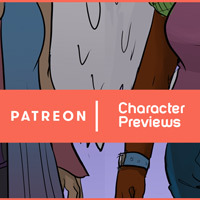 For Patreon Sombulus Fan Lounge folks, check out some character previews this week! Thank you for all your support!